Are you ready to finish the game in less than a day to experience the Game Completion screen? Then Welcome to the world of BOMBARIKA! Tick-tock, tick-tock - The clock is ticking! Save the house! Time is precious. All you have are sofas, shelves, electronic devices, door mats, etc…to push the bomb out of the house before it explodes. Complete each level to collect Rikas to unlock Special Bombs, power-ups and bigger, funnier levels. You don't have to diffuse the bomb, all you need to do is discard it! If you’re stuck, hints will help you finish the game! Experience the fun of saving various houses in the world of BOMBARIKA. 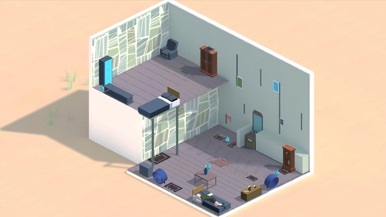 The game starts with a Classic Bomb, which randomly drops in one particular place in the house. 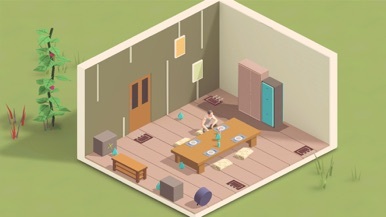 Most of the objects come alive in the game to help save the house from the destruction (while the humans are oblivious). Every object has different characteristics, such as pushing and blocking. 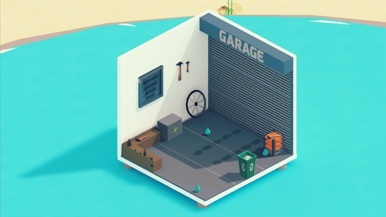 Using these objects looks easy, but finding the exit in little time makes the game challenging. 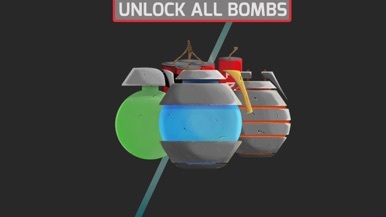 A variety of bombs and power-ups can be unlocked by RIKAS (collectibles) in the shop. Duplex houses, hidden rooms, multiple bombs in a single level, bonus levels, and many more fun things can be experienced in the higher levels. Simple, minimalist levels will bring happiness, joy, and calm when playing BOMBARIKA. 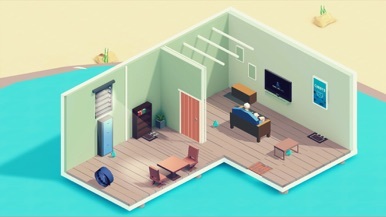 Enjoy beautiful levels filled with interactive household objects and puzzles. 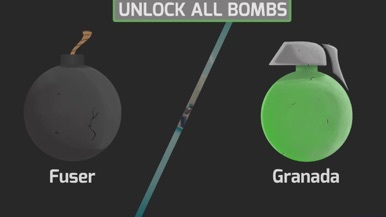 Explore the changing dynamics between objects, bombs, and grenades. 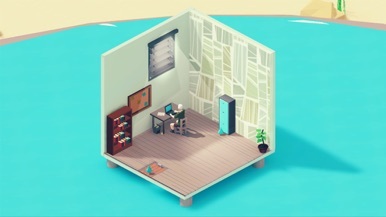 The artwork is a mixture of modern and retro architectural styles, complemented by well-crafted household objects, smooth gameplay, and a simple environment with stunning geometric structures. Small rooms, duplex houses, upside down buildings, theme based architectures along with an excellent collection of bombs, grenades and fruits. Never-before-seen collectibles and power-ups available. Immerse yourself in unique, melodious music and interactive soundscapes. Relaxing original music was tailored perfectly for the difficulty of the levels. 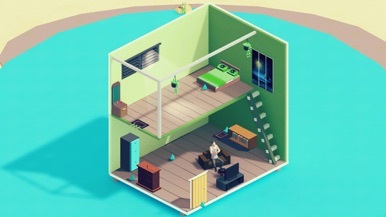 Well-designed blueprints are available for every level. Daily bonus are available on the main menu. 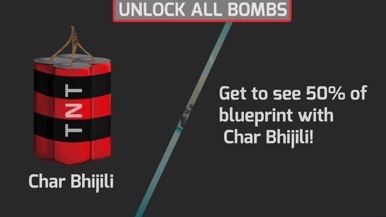 New and unique Bombs can be purchased through RIKAS in the shop. The joy of unlocking a challenging achievement will help you gain experience points throughout BOMBARIKA. EXPERIENCE A FUN, CRAZY, SIMPLE PUZZLE GAME!